BRYAN EATON/Staff photo. 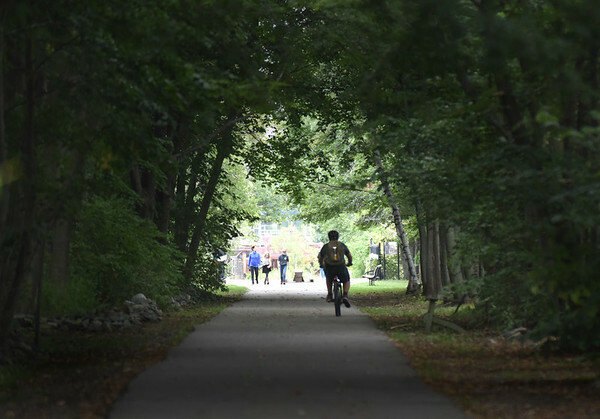 A bicyclist heads down the Clipper City Rail Trail which looks like railroad tunnel with the canopy of trees and lack of sunlight. The sunshine is schuduled to return later in the day today and then Friday and into Saturday.